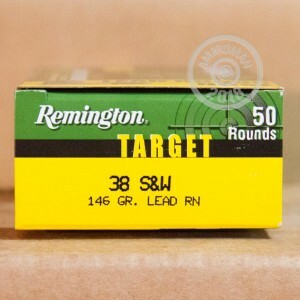 This .38 S&W ammunition is an excellent target load for everything from Colt Police Positives to Webley Mk IVs. 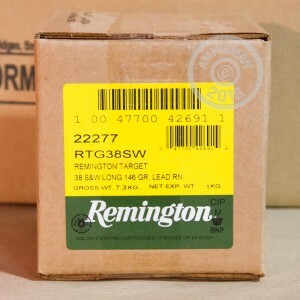 Manufactured by Remington in Lonoke, Arkansas, these rounds come in boxes of 50 and fire a 146 grain lead round nose bullet at a relatively low muzzle velocity of 685 feet per second. Expect fairly low recoil and great accuracy! 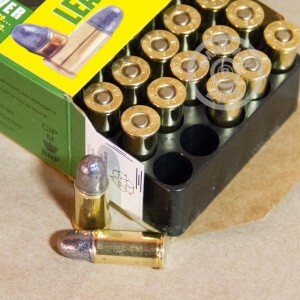 Like other Remington ammo, these cartridges use non-corrosive Boxer primers and brass cases. Not all indoor ranges allow LRNs, so check before buying if necessary. Glad I found y'all - 38 S&W is hard to find in my neck of the woods - nobody shoots revolvers anymore. Will definitely order from you again! & Super fast shipping - Thanks!